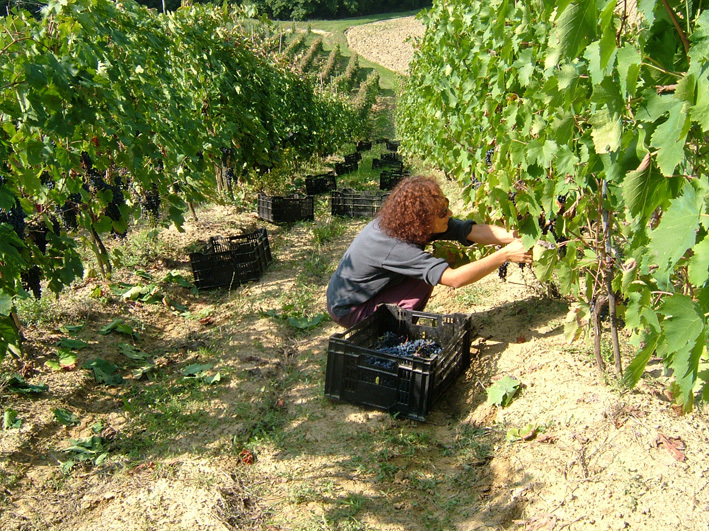 Poggiosecco Farm is situated in the area of ​​Montalbano on the calcareous and sandstone hills of Cerreto Guidi and Vinci, a land typically dedicated to viticulture and the production of fine wines. Our vineyards and olive trees lie at the border between the provinces of Florence and Siena, about 100/350 mt. above sea level, with an optimal exposure which allows a perfect ripening of the grapes and olives. We made this ethical choice because it seemed the only possible way of farming considering the historical context in which we live. Our farming processes follow, as well as seasonality, also a biodynamic calendar based on specific studies and scientific knowledge about the conditions of our solar system and the influences that the planets and their movement have on the force of gravity and levity by acting through the four elements (water, air, earth and fire) on the soil, plants and all living beings. Through this knowledge we work splitting into four parts the processes affecting biodiversity. Our periods are divided into Radical, Leaves, Flower, Fruit with ascending and descending moon period. The actions we take on the plants and the soil are scanned by these periods; then the pre-dry pruning is carried out in winter with descending moon, while the vines removing is done with moon rising with incineration and reintroduction of the ashes. Even the pruning or crushing is done in descending moon, as the plant, with a lot of gravitational pressure, has little sap and wound healing will be easier and less traumatic. Finally, as a defense of the plant's health, we distribute the horn silica in vaporized form into the air at dawn, after a reactivation of an hour. We never introduce any dead or chemical fertilizer in the soil; instead in alternate rows we sow green manure (legumes, grasses, composite), with the introduction of horn manure and biodynamic preparations sprinkled on the soil to activate micro-fermentation processes and the development of active microorganisms that go to energize, revitalize and then purify the soil. During the seasons, the succession of these operations gives a balance to our plants and soil. 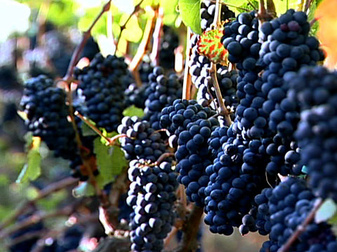 The result is the harvest of healthy fruits, intact from the organoleptic point of view. Our treatments are limited to truly infinitesimal doses of low molecule copper sulphate (S2O), flake of lime and sulfur mining. To prevent from botritis we use clays, bentonite, ZAB. Against the moth we use bacillus turgensis activated with brown sugar. With these very natural and respectful practices we avoid the degeneration of the environment and also of the berries that we're going to turn into wine. In any ecosystem biodiversity is a necessary and sufficient condition to ensure the balance and the gradual strengthening of every living manifestation in it, whether it be from plants, animals or humans. Recent studies (Japan) show that the evolution of one of the basic preparations used in biodynamic has had an extremely invigorating and life-giving effect in the context of critical nuclear contamination of the territory. 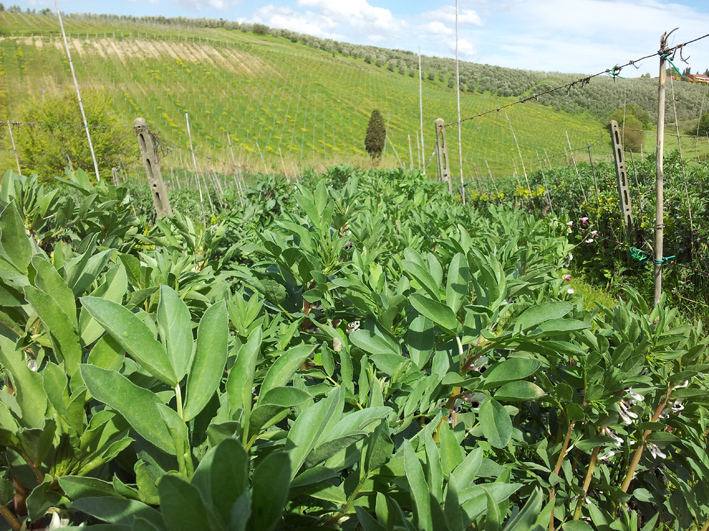 The great work done in the vineyard is a prerequisite to the realization of organic and biodynamic wine. Without a proper initial work it is not possible to get high quality products: basically in the cellar the main goal is to achieve the highest expression of the terroir, that means 'to include a specificity of soil, topography, climate, landscape and biodiversity ". 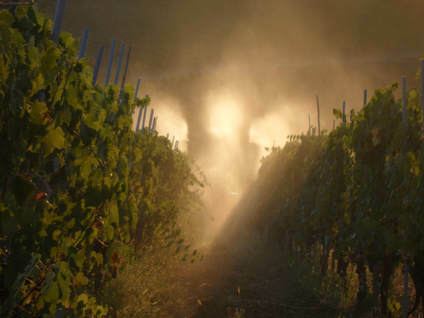 The vinification is made biodynamically with oxygenation and cooling through light and air with pumping over and punching. In the heat of fermentation we do "delestages" so as to slow down the fermentation and lower the temperature. After the alcoholic fermentation we wait a few days to help the malolactic fermentation which develops aromas and flavors. 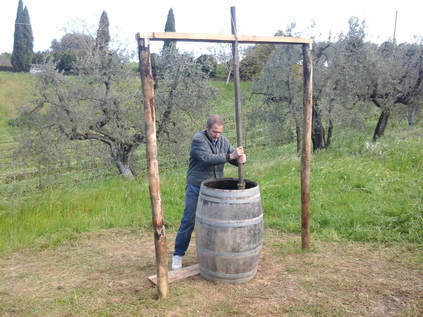 Soon after this we do the process of racking and we add 2 grams per quintal of metabisulfite to purify the wine. Then we transfer the wine into large concrete vats where in the winter take place the processes of aging and fining. Finally we bottle by filtering in cartons. The biodynamic wine has a micro-alcholic fermentation process equal to the organic wine while the malolactic fermentation is longer and lasts until the maceration on the skins. 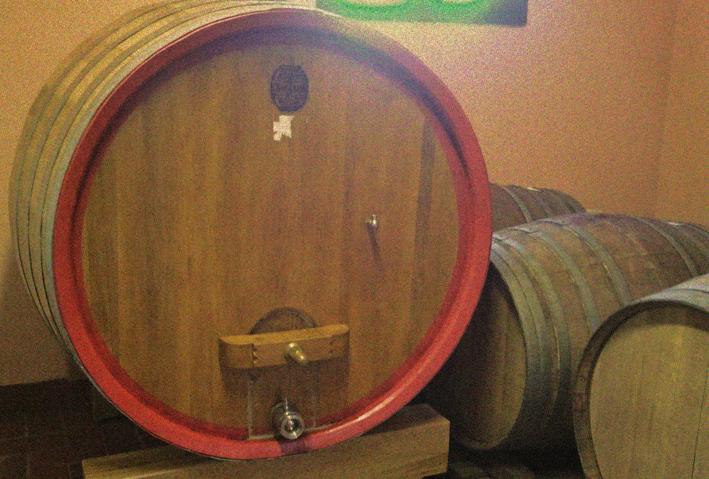 As soon as we perceive the small odor of acetaldehyde oxidation we transfer the wine in oak barrels (only the first squeezing liquid is transferred, which is "flower ").